John Gary "Gus" Gustafson, age 85, of White Bear Lake passed away peacefully surrounded by his loving family. He was preceded in death by his parents, Ernest and Margaret Gustafson; sister Mary; and first wife Donna. Gus is survived by his loving wife Ruby of 46 years; children Jim Gustafson, Dawn (Dale) Hammerschmidt, Jennifer Slupe, Beth (Mike) Mustar, Peter (Tina) Walker, Ann (Tom) Hersman, Nancy (Paul) Melquist, and Paul (Mary) Walker. He was idolized by twenty grandchildren, their spouses, and eight great-grandchildren; siblings Kent (Vicki) Gustafson, Karen (Dale) Kjensrud, Sheryl (Kirby) Borden, and Margo (Mike, dec.) McCormick and many nieces and nephews. Gus grew up on a farm outside of Windom, MN. He served in the Army overseas during the Korean conflict. A graduate of Gustavus Adolphus College in St. Peter, he was drafted by the Green Bay Packers in 1957. An injury sustained in a preseason game put an early end to his playing career. In 1961, Gus married Donna Reinhardt. They had three beautiful children. Donna passed away following a valiant fight with cancer. In 1969, Gus married his high school sweetheart Ruby. Along with her 5 children, they became a family. Gus' teaching and football coaching career spanned over 40 years, mostly at North St. Paul High School, and included winning a state title in the 70s. He was recognized by former students everywhere he went. He was inducted into many Halls of Fame, including: Windom Area High School, Minnesota Football Coaches, Gustavus Adolphus, and was selected as the Minnesota High School Track coach of the year in 1979. He also served as president of the Old Timers Football Association. 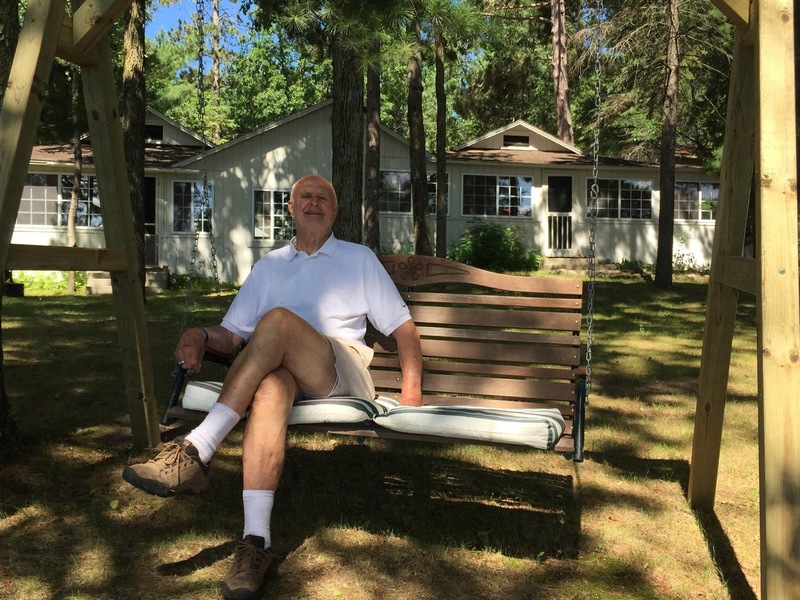 Besides his family, his greatest love was being at his cabin on Long Lake outside of Park Rapids. He loved to rake the woods, split firewood, have raging bonfires and drink a beer (or two) in the sauna. Memorials may be sent to Redeemer Lutheran Church, White Bear Lake MN or the Long Lake Area Association, P.O. Box 808. Park Rapids, MN 56470.